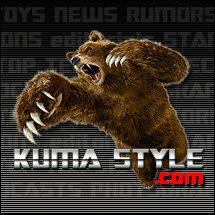 Toy Nippon: BBTS News: Transformers, Star Wars, Hateful 8, Super 7, MOTU, DBZ & More! 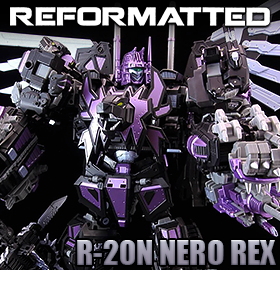 BBTS News: Transformers, Star Wars, Hateful 8, Super 7, MOTU, DBZ & More! 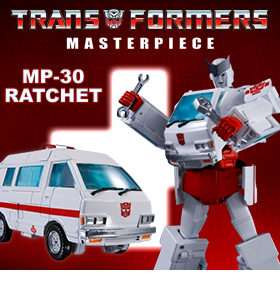 Ratchet is the chief medical officer for the Autobots and comes equipped with an array of tools and weaponry. The officially licensed Halo 5: Guardians Spartan Kelly-087 and Locke Helmets are masterfully sculpted and painted by the artisans at TriForce. The end result is the most authentic representation of the UNSC’s MJOLNIR Spartan II Combat Armor. These Spartan Helmet full-scale replicas are hand-finished and hand-painted for precision quality. This grown up version of Riku is delicately and meticulously finished with a melancholy expression and vivid coloring to recreate the in-game look and includes his signature Way to the Dawn keyblade; and Halloween Town Sora includes two weapons: Kingdom Key and Decisive Pumpkin keyblades, and a total of six different masks including the iconic pumpkin mask. Dorbz are going Supernatural! The Winchester brothers have never been happier to hunt down demons and monsters and look so adorable while doing it! Investigate weird occurrences and the paranormal with Sam, Dean, and Castiel! Oh no - Vinyl Sugar's been hit by a zombie apocalypse! 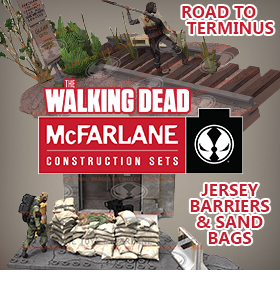 Rick, Michonne, and Daryl are all getting the Dorbz treatment - along with a Walker too, of course! Maybe smiling is somehow the key to just surviving! Use this 5 inch tall Bluetooth speaker of Mazinger Z with your portable audio player, PC, tablet, or laptop and be the envy of all your friends! The speaker has a 17 foot range and will operate up to 3 hours on a single charge! The Betty Netch Plush from the Elder Scrolls Online features high quality cloth materials and stands nearly 12 inches tall! The latest film from Quentin Tarantino is bound to be full of big personalities! The Hateful Eight kicks off when two bounty hunters - like Major Marquis Warren and John Ruth - a fugitive named Daisy Domergue, and southern renegade named Chris Mannix take shelter in Minnie's Haberdashery during a blizzard. Collect the whole set in-time for The Hateful Eight to hit theaters! The bag of 40 Star Wars capsules contains a random assortment of 10 different capsules each containing three mini figures. Become Sherriff Deputy Rick Grimes with these officially licensed custom faux leather and canvas backpacks in Desert Brown or Black. The backpack has a worn look created by a heavy-wash treatment that will make each one unique in color from piece to piece. The backpack can be worn traditionally or converted to a side tote and the padded pocket fits up to a 12 inch tablet. The top flap is adorned with a metal replica King County Sherriff badge and the drawstring liner is printed with The Walking Dead icons pattern. These adorable little figures are nearly 3 inches tall with 5 points of articulation. Rilakkuma comes with a cushion, a base, and Kiroitori and Korilakkuma comes with a cusion, a base and an R/C duck. 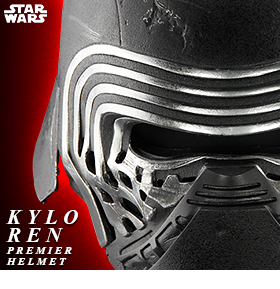 BB-8, Kylo Ren, and First Order Stormtrooper have been added to the Star Wars Paper Theater Mask lineup! These kits allow you to assemble your own amazing mask images with the laser-cut paper pieces. Some patience is needed, but the end result will be well worth it! Based on the Monster Hunter game, these figures are an amazing addition to the Capcom Figure Builder Creator’s lineup. Kirin and Oroshi Kirin are $89.99 each and Kushala Daora Rusted is $99.99. Sonoda Umi and Kosaka Honoka are 5 inches tall and are wearing their costumes from the opening theme of the Love Live! School Idol Project anime series. It's the Masked Rider Ryuki Series ultimate team! Transform Dragranzer from monster mode to motorcycle mode for a variety of poses with a newly designed dedicated soul stage! 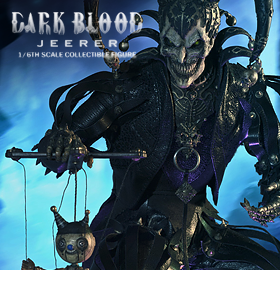 We have Drangranzer for $184.99 or in a set with Survive figure and additional accessories for $244.99. This set of two hands combined has over 30 points of articulation and is meant to enhance a certain transforming Corvette. MTCM-03C Metalstorm transforms into a heavy bomber and becomes the torso of the Quantron combiner. He comes with 2 Fusion-Cannon graded rifles (one has an attached grenade launcher), 2 booster modules, and a Gigan Cannon. MTCM-03D Overheat transforms into a motorcycle and also becomes the left arm of the Quantron combiner. 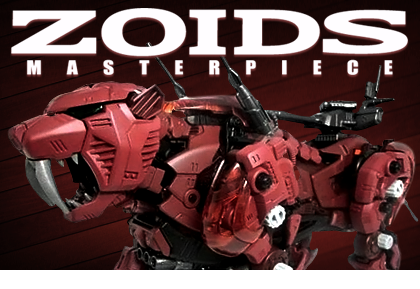 He comes with 2 shoulder missile launchers and a fusion sniper rifle that can be combined to create a giant war hammer! 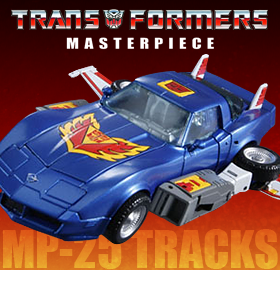 Metalstorm is $79.99 and Overheat is $54.99. Feel the power of refreshment with these elegantly etched Dragon Ball Z pint glasses featuring Goku or Vegeta. This Mazinger Z Body stands over 27 inches tall and is made to display with the Metal Action Jet Pilder Figure (sold separately). Based on the best-selling manga series, Cobra these stylized versions of the main character of the same name stand 5 inches tall and come with a base and optional accessories like hand parts, his signature handgun, or his air bike. The Deluxe Air Bike set is $124.99 or get the Cobra Before Surgery and Cobra figures for $64.99 each . Are you ready for the incredible might of Devastator? You'll combine and attack with the most destructive Decepticon yet with the Construction figures in this Devastator set! The set includes 6 Voyager Class Construction figures: Construction Scrapper, Construction Hook, Construction Bonecrusher, Construction Long Haul, Construction Mixmaster and Construction Scavenger. The first Core Power figure, Courage stands over 6.5 inches tall with over 30 points of articulation and comes with removable helmet, chest armor, flaming Energy Sword, and Courage Shield for $24.99; the Courage 3-piece Dining Set comes with a cereal bowl, juice glass, and plate, all made of plastic and printed with images of the Courage figure series for $29.99; and the Elements of Power Board Book introduces young children to the positive messages of the IAmElemental Universe in its 12 colorful 6x6 inch pages for $9.99. You'd be risking a lot by gambling with naughty, psychotic Harley Quinn. The Arkham Asylum doctor-turned-inmate has an ace up her sleeve and a joker tucked into her thigh-high sock — not to mention a bomb headed for Gotham City. The 18x24 inch ‘Gotham or Bust’ art print is a beautiful reproduction of the original DC Bombshells artwork designed by Ant Lucia. The classic white armor of the Stormtrooper has been shrunk down into Nendoroid size while still keeping to the original design as faithfully as possible! The standard Stormtrooper blaster rifle is also included to display him in combat against the Rebel army! Pose the Stormtrooper alongside Darth Vader in his jet black outfit featuring a mix of glossy and matte paintwork to bring out the different textures. His lightsaber is included and the blade can be attached and removed for various posing options. 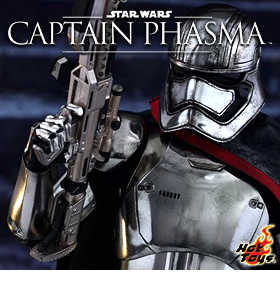 He also comes with two different cape parts and a Death Star! These amazingly detailed model kits come unassembled and unpainted and include decals, effects parts, opening canopy, display stand and more. Vehicle specific mini figures are also included. The 1/72 X-Wing Resistance Fighter is $34.99 and the 1/144 Millennium Falcon is $64.99. It's BAZINGA! time! Bif Bang Pow! 's amazing line of 3.75 inch action figures based on the sitcom The Big Bang Theory will put you right there on the set with Sheldon, Leonard, Penny, and the whole gang. 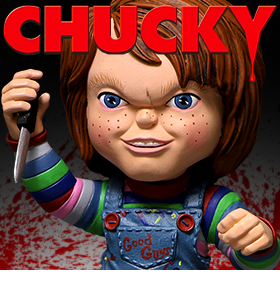 Fashioned of plastic and featuring multiple points of articulation, you're going to want each and every one! But wait, there's more! Each figure comes in totally unique full-color packaging that turns into a diorama that includes pop-up features. Collect them all with a variety of options: Set of 7 for $69.99, Set of 6 for $59.99, or different versions of Sheldon for $9.99-$11.99 each. Funko now offers Premium Pop Protectors to keep your Pop! collection safe from the elements! The regular version is $7.99 and the interlocking/stacking Premium version is $8.99. Holy nostalgia! The characters of the classic TV series get a contemporary vinyl twist with these colorful 8 inch inch figures. We have Batgirl, Batman, The Joker, and Robin in stock now! The third figure in the Saurus Ryu-Oh combiner has arrived! Dinosan transforms from robot to beast and back and forms the right arm of the combiner robot. We have three different versions of Snake in the Revoltech Micro Figure lineup: RM012 Venom Snake and RM015 Olive Drab Venom Snake from MGSV for $44.99 each and RM001 Solid Snake from MGS for $39.99. All three figures are approximately 4 inches tall and feature multiple points of articulation and come with a bunch of weapons and accessories. An ace pilot, Poe Dameron is a leader in the Resistance's fight against the evil First Order. He soars into battle behind the controls of a modern X-Wing Fighter. Armed with specialized weapons, the First Order's Riot Control Stormtroopers are trained to subdue crowds in the most ruthlessly efficient manner possible. This version of Quake Wave features Dark Purple, more cartoon accurate coloring with translucent purple hands and chest, along with the new segmented hose. Series 3 in the line of 4 inch World of Nintendo figures brings you Fire Mario with Fire Flower, Starfox with Arwing, Goomba with Coin, Princess Peach with Crown & Umbrella, and Pink Yoshi with Egg accessory. Bringing to life the artwork of Ashley Wood, these 1/12 scale action figures of Tommy Mission and his Adventure Kartel continue their battles with the Zomb MD and his undead minions. The figures feature fabric clothing and accessories with the attention to detail collectors have come to expect from maker ThreeA. 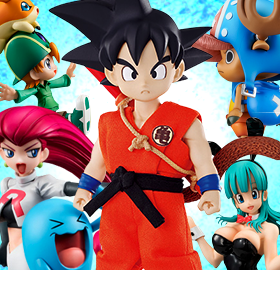 We have 14 different figures in stock now with prices ranging from $31.99 to $49.99. To commemorate the 30th anniversary of Commando, this deluxe 7 inch scale action figure features the authorized likeness of Arnold Schwarzenegger and over 25 points of articulation. As befits a former special operative, it's loaded with deadly accessories: knife that fits into a sheath, Desert Eagle pistol that fits into a side holster, M60E3 machine gun, Valmet M78/83 machine gun, and a massive M202A1 FLASH rocket launcher with removable launching rocket attachment. This officially licensed and highly detailed “Battle of the Gods” Super Saiyan God Goku stands 6 inches tall and features his more muscular build, upswept red hair and glowing red eyes. The brave warrior Mulan stands at the ready with her sword and her trusty dragon Mushu with his lucky Cricket sidekick are ready to help! The Force Awakens in Pop! vinyl format! Get ready for the upcoming film with stylized versions of Kylo Ren, Rey, Finn, Poe Dameron, Captain Phasma, BB-8 and more!